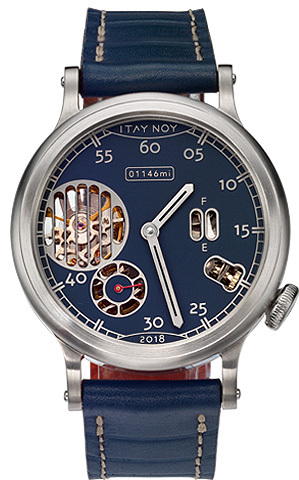 The holy-land 1000 watch has been designed to echo the spirit of the event with a Mileage Counter box within which the number of miles that the race will cover is clearly displayed, through the car grill mechanism see-through, the piston-like hand winding mechanism, and the power reserve depicted as a fuel gauge. The subtle design continues on the back of the watch, with an open grill displaying the mechanism and through the graphic depiction of the route we will be covering. 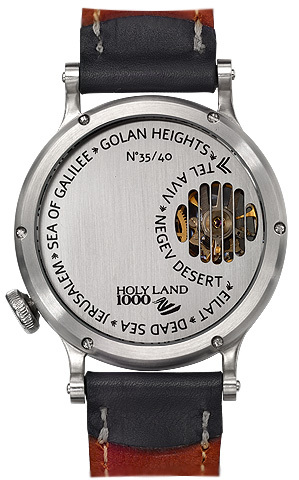 This is a truly unique timepiece, born out of close collaboration between the Holy Land 1000 organizers and Itay Noy, Israeli’s premier fine watchmaker.